Stories related to the 2012 Election and other 2012 issues. Fired Up? READY TO GO!! Read more about Fired Up? READY TO GO!! "I am encouraging everyone I know to cast their ballot at the Early Voting Center on Morse Road. It is easy and convenient, but more importantly at that location you will see the rainbow nation that is the United States. It is very moving to see people of all colors and ethnic backgrounds exercising their right to vote; that is really the heart and soul of the American dream. Whatever your party affiliation, whoever you plan to vote for, celebrate the fact that in this country all people share the right to vote!" The opposition is getting organized and ruthless in its attempt to suppress the vote in Franklin County. More than 23,000 people in Franklin County have voted early at the in-person Early Voting center in the first three weeks of October. This number surpasses 2008 figures despite the fact that we have had far less voting hours. On Monday and Tuesday alone, over 5,000 people voted early at the Early Voting center on Morse Road and it appears that 8 out of every 10 voters were Democrats. Naturally this has the Republicans worried and they are pulling out the stops to suppress this early vote. For example, on Monday of this week two huge Romney vans with negative signs set up camp in the middle of the early vote parking lot, taking up parking spots from early voters and creating a negative atmosphere with their divisive signs. This morning Fox News from Chicago arrived to film and presumably create chaos. In addition, three huge signs were planted along Morse Road today that say "Abortion is Baby Murder" and "Stop Sodom and Gay Mora [sic] Marriage." The Northland Alliance was called to remove them and they did, but the signs are now being held by Romney volunteers. Be sure to read: "Illegal Campaigning by Romney Supporters Prompts Response by Sheriff at Franklin County Polling Location"
Why is this happening? 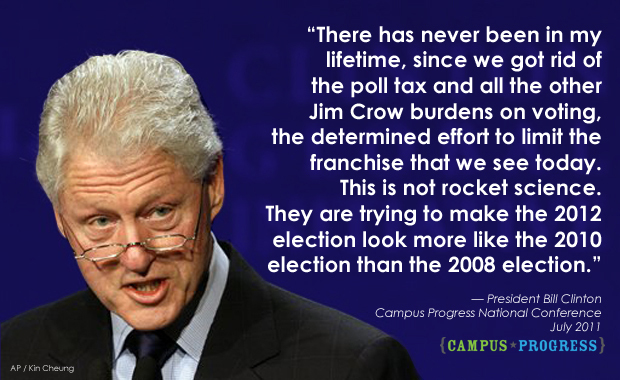 Because Republicans want to decrease turnout by changing the perception that voting is easy or a pleasant experience. They want to increase their early vote turnout. They want to create an incident that either gets volunteers banned from distributing sample ballots or results in a negative story that suppresses the vote. We cannot let this happen. PLEASE, PLEASE, PLEASE VOTE EARLY! Our presence at the Early Voting location will help support and reassure other voters who may be fearful or reluctant to even enter the building. We can help these people exercise their right by simply being there, voting and being friendly to all we encounter. Additionally, voting early means you free up space in line on Election Day. 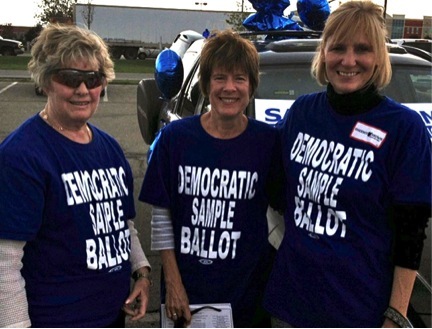 Please look for a blue-shirted volunteer from the Franklin County Democratic Party who is handing out sample ballots. They have been there every hour of every day to talk with voters about the importance of voting for down ticket candidates to give President Obama the support he needs at the local level. Columbus is considered by many as "ground zero" in determining this presidential election. We may very well be the deciding factor in reelecting our President or handing it over to Romney and his minions. Can you live with yourself if Romney wins? The Huffington Post listed Issue 2 among their Ten Ballot Measures to Watch in the 2012 Election. See the Issue 2 ad! 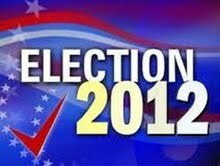 We will discuss the clear choice and the issues at stake in the 2012 Presidential election. Light appetizers will be served, and drinks will be available for purchase. Street parking is available. If you have any questions, feel free to reach out to Christopher Hale at chale@barackobama.com. 2. What if your child gets sick on election day and you can't leave home? 3. What if Central Ohio is hit with torrential rain, an ice storm or freak snowstorm on Election Day? 4. You free up space in line for others to vote on Election Day. 5. Voting early removes you from calling lists. Even the first lady has voted early and President Obama plans to vote early when he visits Chicago later this month! Read about it here. Read more about Why Vote Early? The Obama campaign on Friday circulated a memo claiming to be well ahead of Mitt Romney among early voters in the critical battleground state of Ohio. No Republican presidential candidate has ever lost Ohio and gone on to win the election. Republicans have touted their ground game in the crucial state, claiming they've closed the gap with Democrats. President Obama has led in Ohio throughout this cycle, but polls have tightened in recent weeks. According to the Real Clear Politics average of polls, Obama leads Romney by 2.4 percentage points in the Buckeye State.